Fitted within a traditional, yet elegant design, the ChipStar™ combines a custom user interface with state-of-the-art technology. 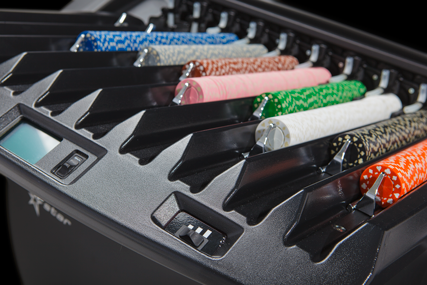 It improves roulette performance without impact on chip durability, requires minimum service and features gentle chip handling. All moving parts for chip ejection are located right at the 10 sorting channels. 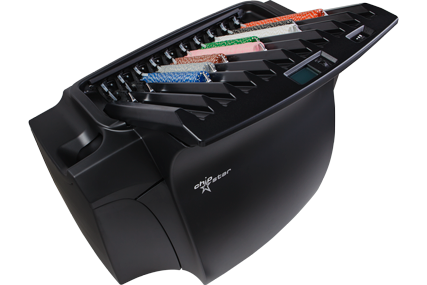 It is equipped with an unequalled Chip-Pre-Separator providing a full chipping rate even at high chip loads.